It’s the month of March and it’s all about being lucky. 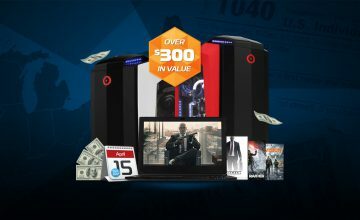 To celebrate, we’ve got another fantastic promotion so you can get lucky with one of our custom computers and experience the cutting edge of immersive gaming! 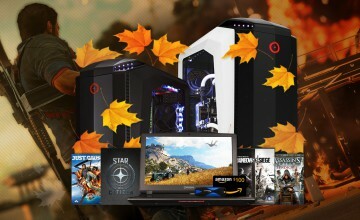 For a limited time, purchase any desktop or laptop and you’ll receive a $50 gift card to splurge with on Amazon, free ground shipping in the United States, and digital game codes for some of the hottest titles in PC gaming right now, including Hitman, the various Trion Worlds titles, and The Division. Set for release on March 11, the 2016 Hitman game is actually the sixth entry in the long-running Hitman series. Once again, players take on the role of enhanced assassin Agent 47 as he eliminates his contracted targets. Players are allowed a large degree of freedom to determine how they wish to dispatch their targets in levels that are up to seven times larger than previous entries in the series. Tom Clancy’s The Division is a third person shooter taking place in a Manhattan under crisis due to a viral outbreak. Players are free to explore the open world environments which are full of destructible objects and the game also features a dynamic weather and a day and night system that can affect gameplay. 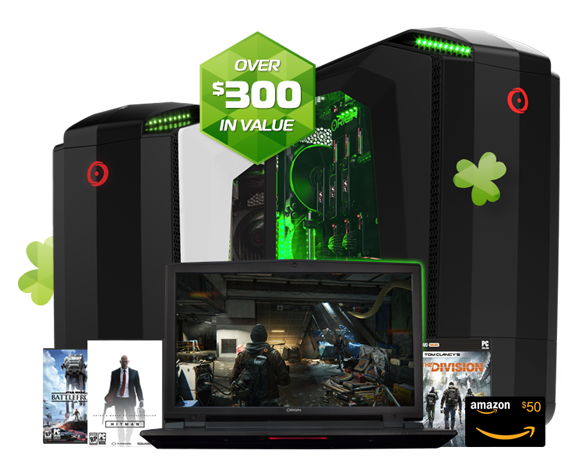 The Division is free with the purchase of a GeForce GTX 970, 980, or 980 Ti graphics card, or a GeForce GTX 970M or 980M-powered laptop. The various Trion Worlds titles include games like the MMOs Devilian and Archeage, open world shooter Defiance, and more. You’ll receive $20 of in-game credits to use across these acclaimed titles. 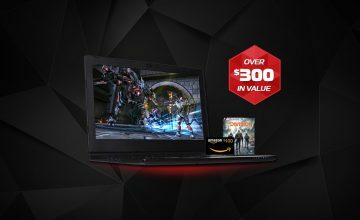 Please note that this March promotion is not valid on the EON17-X RTS or CHRONOS VR systems. 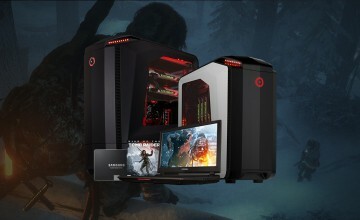 If you would like additional information on ORIGIN PC’s line of computers or to order one of our computers like the new CHRONOS Small Form Factor Gaming Desktop, call 1-877-674-4460 to speak with a sales representative. We offer 24/7 customer support and worldwide shipping options.